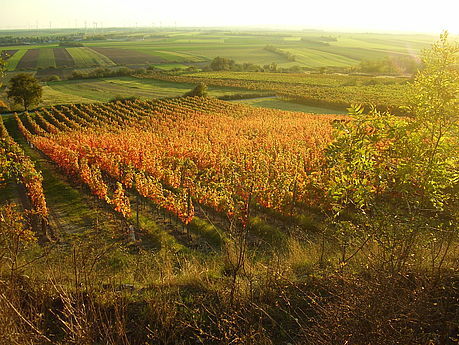 The winegrowing district Carnuntum is a region located south of the Danube River in the state of Niederösterreich (Lower Austria), and extends eastward from near Vienna toward the Slovak border. This massif is geologically part of the Lesser Carpathians, although it is separated from them by the Danube River Gap. These ‘mountains’ (Hundsheimer Berg and Spitzerberg) barely reach 300 metres in elevation. The entire area of the Hundsheimer Mountains has been declared a nature preserve, since the place is home to some rare species of plants, unique in Austria and the European Union. The flora corresponds to that of the Eastern European steppes, and here one finds botanical fossils dating from the Ice Age. The grasses that grow here are extremely rare (the dry and half-dry grasses), which grow on meagre humus layers or even out of naked rock. Consequentially one will encounter some rare animal species here, like the European ground squirrel, the greater mouse-eared bat (Myotis myotis), the stag beetle (Lucanus cervus), and numerous species of butterfly. 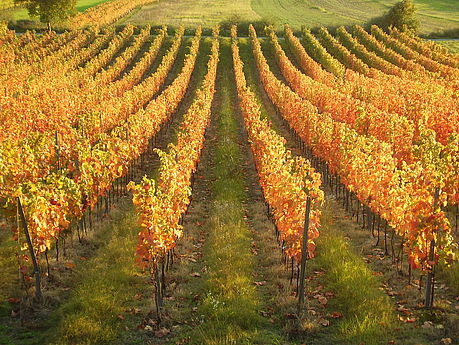 Grape vines are planted on the hillsides – southerly and southwesterly exposed – of the Hundsheimers. The Spitzerberg is an old vineyard site, one which has excited much attention once more in the past ten years. The mountain lies like a cliff before the Brucker Pforte, so directly in the path of the dry and hot air masses from out of the southeast, which gives it a unique microclimate, and above all stimulates the late-ripening variety Blaufränkisch to a very unique expression. Carnuntum "Update" ist a free service of the Rubin Carnuntum wine producers to keep you updated. People registered for the newsletter receive updates via email.